WILL MANCINI, a former pastor, is the founder of Auxano, a national consulting group that works with traditional and emerging churches and ministries of all types around the country. Their mission is to navigate leaders through growth challenges with vision clarity (auxano.com). ABOUT LEADERSHIP NETWORK The mission of Leadership Network identifies and connects innovative church leaders, providing them with resources in the form of new ideas, people, and tools. Contact Leadership Network at www.leadnet.org. "[Mancini] gives a compelling rationale for the church to move on and accompanies this rationale with instructive support and church-wide challenge. All mission boards and vestries would benefit from the materials contained therein." 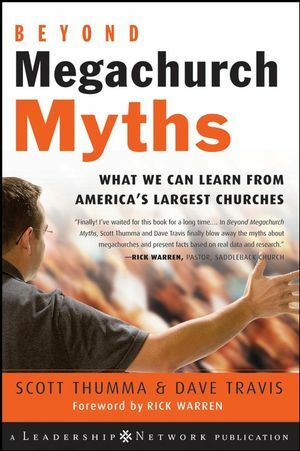 Mancini (founder, Auxano consulting group) believes that all churches need not be megachurches like Willowcreek (IL) or Saddleback (CA). 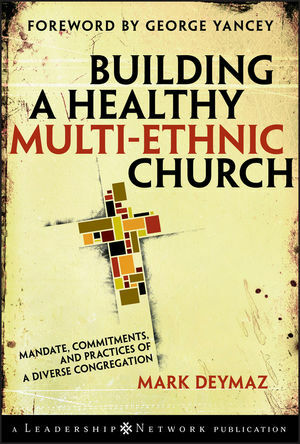 Here, he avoids a mere discussion of churches worthy of emulation and further crosses denominational lines, having himself worked alongside Baptists, Methodists, Lutherans, and others. Mancini eschews the title consultant , preferring instead vision navigator . 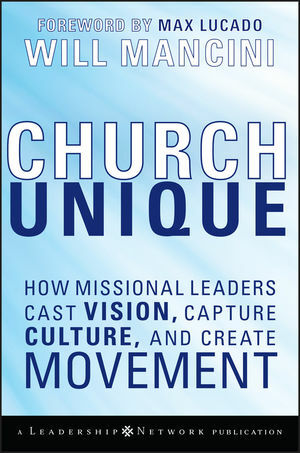 In short, he helps leaders focus on their own unique cultures and congregational fingerprints. Once churches grasp that they are one of a kind-much like galaxies, fossils, DNA, and sandbanks-they can then, Mancini writes, unleash their full potential. The book, complete with an appendix as well as logos and icons illustrating various churches' visionary thinking, is strengthened by numerous flow charts, diagrams, graphics, and pithy quotes. It has the potential to unseat Rick Warren's The Purpose-Driven Church in popularity. Yet academic libraries may want to pass on this title for its admitted lack of supporting empirical evidence. Public libraries, on the other hand, would be wise to purchase a copy. With a foreword by inspirational giant Max Lucado.